Shafii on his way to support the landmine detection team in Cambodia. As the newly appointed Mine Detection Rat (MDR) Technical Advisor, Shafii Mahanyu flew to Cambodia from Tanzania last week where he will support APOPO’s ongoing landmine clearance operations in the Sre Noi area of Siem Reap for at least 6 months. Shafii will work closely with APOPO’s on-site operational team who will introduce him to his new duties and responsibilities in the minefield. He was highly recommended for the position by his Tanzanian colleagues already working in Cambodia. 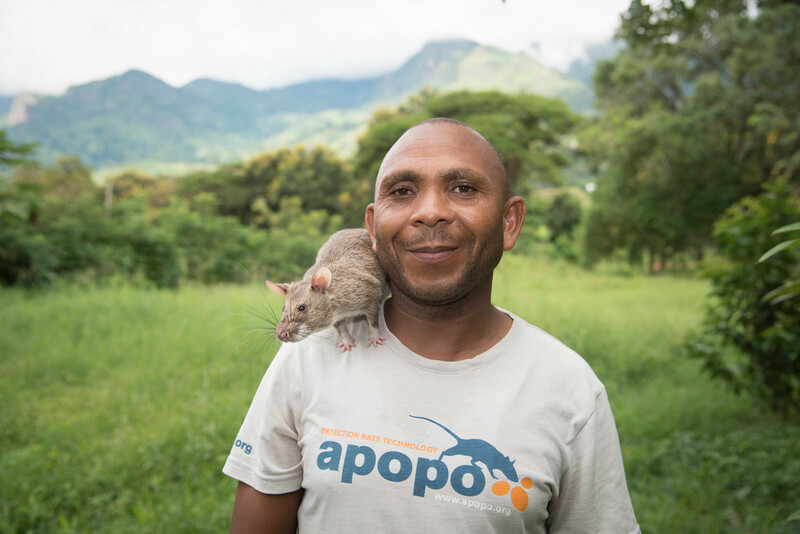 The APOPO training center in Tanzania is also readying 10 HeroRATs to join him in the mine clearance efforts in Cambodia in the coming weeks. "Our entire team is excited for Shafii to contribute to APOPO's mine clearance efforts in Cambodia! Shafii was chosen for this assignment because of his keen attention to detail, sharp insight on rat training and behavior, proven training skills, and firm commitment to APOPO's core values and mission. Shafii's smiling face and willingness to lend a helping hand will be sorely missed in Tanzania, but we look forward to getting reports from him about how the rats are helping to free Cambodia from the threat of landmines," said Dr. Cindy Fast, APOPO’s Head of Training and Behavioral Research. 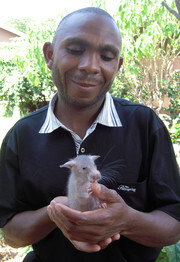 Shafii joined APOPO in 2003, starting out as a mine detection rat trainer. He soon progressed to Training Supervisor and more recently added the title of Animal Health Officer. He has been working closely with the vets at Sokoine University of Agriculture (SUA) who have trained him up on common illnesses and treatments. Over the last few months Shafii has been busy training other rat trainers to cover his tasks in Tanzania to ensure that all rats receive top-notch care. “I will be in Cambodia for 6 months to begin with. I am very excited to be here and I’m ready to gain new experiences, learn about the Khmer culture and food and expand my skillset. Right now, I have two weeks to acclimatize and meet my new colleagues before I start work. 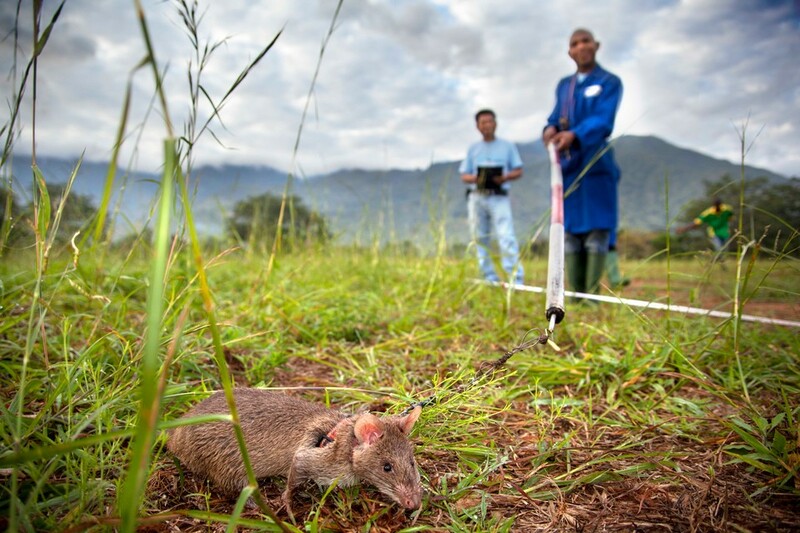 This is not the first time I have been outside Tanzania – in 2006 I went to Mozambique for six months to work with the mine detection rats there. I’ve left behind my wife and two kids and missing them will be the biggest challenge for me, but I am also doing this for them. I will also miss my Tanzanian colleagues, they have become like family to me and we support each other beyond just work. I know the training center as well as my family will be in good hands” said Shafii. APOPO MA Cambodia is deeply grateful for the support and generous contributions of its partners and donors.